What are you, my dearest friend? What do you want to be? What brings you joy? What makes you weak? What did they tell you about who you are? What did they try to make you believe? How did they do that? Who allowed them? No matter what you may hear about yourself, no matter what you are telling yourself about yourself … you are exactly what you are supposed to be. You are perfect in your imperfection. No one is ever allowed to stereotype you. You are not born for someone’s comfort, nor for someone’s benefit. 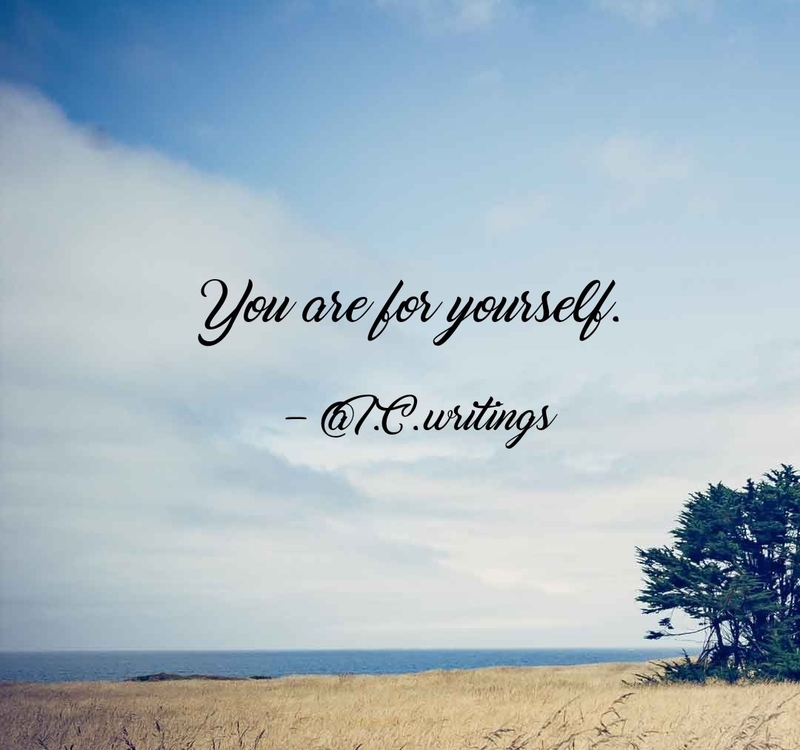 You are for yourself. Friends may leave you, family may disapprove your decisions, strangers may be rude, people around may invent when they don’t know much, love partners will not do what they are supposed to do. But never loose yourself in the process. Be faithful to your core. Your smile will be noticed, your efforts will be cherished. Better friends will cross your path, family will understand eventually your choices, people will look away and let you live your life while they live theirs. Life brings together people that are alike. The weak will gather in crowds and fear, the strong will dream and walk through the storm, alone, before meeting each other. We are just humans, souls hurting, hugging shadows of “what if’s”, breaking the day with prayers.